Sudden Cardiac Arrest is when the electrical system of the heart unexpectedly ceases to function. Often, this is because of irregular and rapid quivering of the heart’s lower pumping chambers (ventricles) called ventricular fibrillation. When this occurs, the heart stops beating and blood stops flowing from the heart to the brain and other vital organs, causing loss of consciousness or seizure-like activity in seconds. SCA is not a heart attack, which occurs when blockage in a coronary artery interrupts blood flow to the working heart. The underlying cause of SCA is often an electrical or structural heart abnormality you’re born with (often inherited) and/or can develop as young hearts grow. SCA can also be triggered from a viral illness, or a blow to the chest from an object or a person. It can also occur secondary to other conditions, such as heart attack, heat stroke, asthma, drowning, electrocution, allergic reaction or medication. Arrhythmogenic Right Ventricular Dysplasia (ARVD) – is a form of cardiomyopathy in which the heart muscle of the right ventricle is replaced by fatty-fibrous tissue. The scar tissue interrupts the normal smooth sequence of electrical activity that causes the heart muscle to contract, leading to arrhythmias. The weakened muscle will stretch, producing an enlarged right ventricle, which may not pump as effectively as a heart without ARVD. ARVD is often inherited. Coronary Artery Abnormalities (CAA) – is an abnormality or malformation of the coronary artery, a blood vessel that supplies blood to the heart muscle. This condition is present at birth but can be silent for years until very vigorous exercise is performed. During exercise, blood flow to the heart muscle can be impaired and result in ventricular fibrillation. 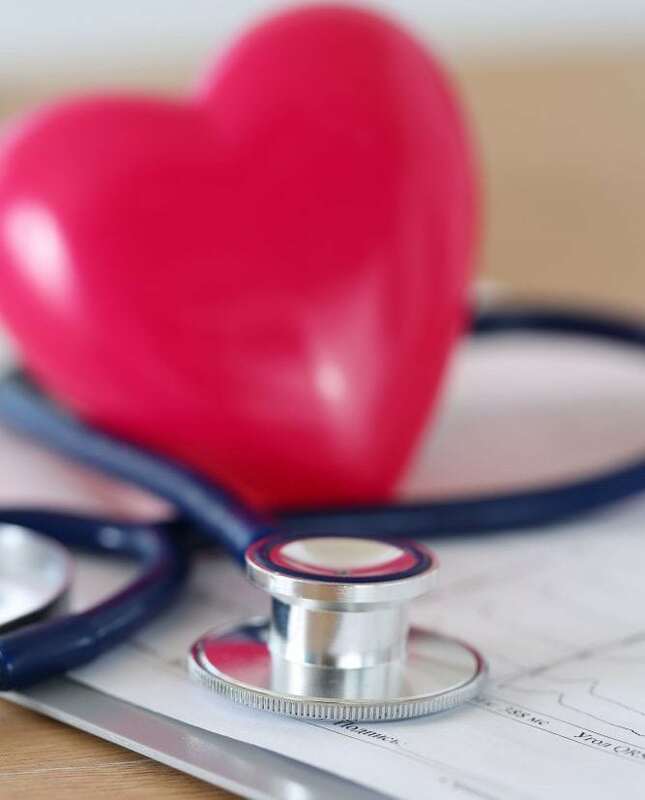 Dilated Cardiomyopathy (DCM) – is the most common form of cardiomyopathy and occurs when heart muscle tissue is enlarged and stretched, making it difficult for the heart to function. DCM usually follows a viral infection. Hypertrophic Cardiomyopathy (HCM) – is the second most common type of cardiomyopathy and results in excessive thickening of the heart walls, usually on the left side. The thickened heart muscle can block blood flow out of the heart and can increase the risk of ventricular fibrillation. In over half of the cases, this heart disorder is hereditary. HCM is the most common cause for sudden cardiac death in athletes in the United States. Kawasaki Disease – is characterized by inflammation of blood vessels throughout the body including the coronary arteries of the heart. It often begins with a persistent high fever greater than 102°F, often as high as 104°F, which typically lasts at least 5 days and does not usually go away with normal doses of acetaminophen (Tylenol) or ibuprofen. Marfan Syndrome – is an inherited abnormality of the connective tissue (ligaments and tendons) in the body. The wall of the aorta, the main artery from the heart, can become weak and rupture, especially during exercise. Often, affected people are tall and thin with long arms, legs, fingers and toes. Mitral Valve Prolapse (MVP) – is a disorder that affects one of the heart’s valves — the mitral valve. The mitral valve doesn’t close properly allowing backward leaking of blood from the heart’s chamber. This may predispose some people to endocarditis, an infection of the heart valves and parts of the inside lining of the heart muscle, due to bacteria that adhere to the valve from dental work. Myocarditis – is an inflammation of the heart muscle caused by either a viral, bacterial or fungal infection. It is often caused by the Coxsackie virus. It causes weakening of the heart’s pumping action and decreases its ability to supply oxygen-rich blood to the body. Most people recover from viral myocarditis with no ill effects. It is better not to participate in sports when a fever, chills and muscle aches are present, or symptoms which are indicative of a bad cold. Brugada Syndrome – is an abnormality of the heart cells that disrupts the electrical activity in the heart and can cause life-threatening heart rhythms. Catecholaminergic Polymorphic Ventricular Tachycardia (CPVT) – is characterized by exercise or stress-induced ventricular arrhythmias in which the heart’s lower pumping chambers go into very rapid and uncontrolled rhythms that do not pump blood effectively. Long Q-T Syndrome (LQTS) – is a disturbance of the heart’s electrical system. A genetic mutation causes a defect in the heart cells, called ion channels, which then prolongs the time the heart takes to electrically recharge after each heartbeat (known as the QT interval). LQTS is usually inherited. In other cases, LQTS can be caused by certain medicines, toxins, electrolyte disturbances, or other forms of heart disease. Wolff-Parkinson-White Syndrome (WPW) – is a condition in which the normal electrical signals in the heart travel along an extra, abnormal electrical pathway. This condition can create a “short circuit” in the electrical system and lead to abnormally fast heart rates (tachycardia). WPW is sometimes inherited. Commotio Cordis – is a condition that causes cardiac arrest if a sudden blow to the chest occurs at a critical point when the heart is electrically re-charging. It can occur with an impact of very little force. It is usually caused by a baseball, lacrosse ball, or a hockey puck despite the use of a chest protector. Chest protectors are designed primarily to protect a child from soft tissue damage and bone injury on impact; not as protection from the potentially fatal heart rhythm that can also occur as a result of impact. Wearing a chest protector, thus, creates a false sense of security. Commotio cordis is the second leading cause of death in young athletes while playing baseball, usually occurring between the ages of 7 and 16. Every child is vulnerable. Read more from the National Operating Committee on Standards for Athletic Equipment (NOCSAE). Even someone with a completely normal heart can develop ventricular fibrillation and die suddenly due to drug or stimulant use, which includes performance enhancing drugs, high-caffeine energy supplements or diet pills.